We offer a cost-efficient inspection, maintenance and repair programme for any offshore operation. We harness our experience, knowledge and our portfolio of innovative technology, to manage the operational integrity of flexible pipes, umbilicals and risers. For specific technology, please see the sub-menu above. Our Inspection services include, Ultrasonic Scanning Technology, Annulus Testing and Close Visual inspection. 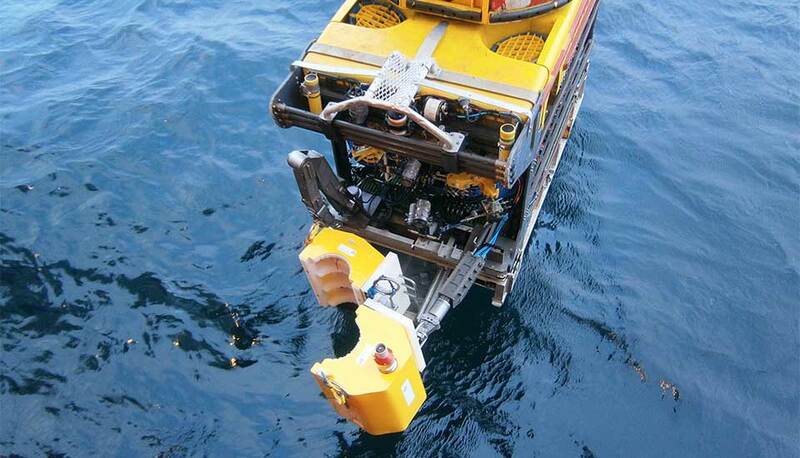 The FlexScan® technology utilises Neptune ROV-mounted inspection tool interrogates the condition of an annulus in depths of up to 3,000mand provides 100% accurate data enabling clients to make the right decisions concerning operations. Neptune has been used in more than 220 riser inspection programmes around the world, providing invaluable data on the condition of the annulusand shaping a remnant life strategy for production-critical assets. Flexlife operates a suite of hazardous area and small diameter endoscopes to carry out inspections in inaccessible areas, helping clients understand what the integrity concern looks like. Our skilled flexible pipe specialists deliver this service globally carrying our compact FlexScout® equipment within their hold luggage. We pride ourselves on obtaining conclusive data. It is all too common to have non-specialist vendors return with inconclusive data; our performance bears scrutiny and we offer an enviable, conclusive track record. Our clamp-style FlexGuard® integrity tool is a new dimension in subsea monitoring and protection. FlexGuard® routinely assesses the condition through flooded annulus detectionand provides instant remote access to data. The non-invasive tool takes the form of a permanently installed ultrasonic scanning system, which delivers continuous evidence of the condition of the riser’s annulus which, in turn, provides a definitive picture of the remaining integrity of the riser. This gives a clear understanding of the riser’s status and the knowledge needed to deal with any issues as they arise. Our innovative solutions are used in major projects around the world to repair damage to subsea risers and eliminate the risk of early failure. Our repair technology solutions include venting system reinstatement clamps, dynamic outer sheath repair clamps and restricted access corrosion mitigating products. Guide-Tubes are often used to route subsea risers from the seabed to the platform in many offshore facilities. While they provide robust physical protection for the conductors they hold, they can pose problems for IMR programmes. Fortunately, our smart technology overcomes these barriers and can make long-term repairs to damaged risers. FlexGel® has been developed in partnership with our chemical experts, as a simple means to mitigate corrosion within I-Tubes. FlexGel® displaces sea water by removing the oxygenated water associated with a splash zone environment. Read more about FlexGel®. Our dynamic subsea riser repair system, Armadillo™, delivers a permanent solution if an outer sheath of a riser has been damaged. The modular system is clamped around the flexible at the point of damage and filled with a repair gel to form a protected area. Armadillo™ can be manufactured to a bespoke size to seal the problem area, without compromising the continued operation of the riser. Read more about Armadillo™.